Research shows countries with quotas consistently have more women on boards, but is that the route to real equality? When it comes to women in business, opinion on board room quotas is divided. Indeed, in an informal poll at MT's recent Inspiring Women in Business conference in London, the show of hands was too close to call. The quota camp received a boost today, however. New research from Catalyst, a non-profit organisation seeking the advancement of women in business, found a strong correlation between quotas for women on boards and, well, the proportion of women on boards. This might not seem enormously surprising, but the numbers are quite striking. Leading the pack is Norway, where women held 35.5% of board positions in major companies. The other Scandinavian countries and France followed not far behind, while Portugal (7.9%) and Japan (3.1%) languished at the back. Those in the first group have quotas; those in the second do not. It's dangerous to assume an automatic causal relationship here, but there is evidence that introducing quotas quickly increases numbers. Research last year from Egon Zehnder, for instance, found that the UK's percentage of female directors increased from 5 to 20% in four years, after informal targets were introduced. Catalyst now puts the UK figure at 22.8% of FTSE 100 board members. 'We have evidence and optimism that closing the gender gap on corporate boards is possible,' said Deborah Gillis, the Catalyst boss, 'yet the current numbers are simply not good enough.' Indeed, despite often significant progress, no country has actually reached its quota. 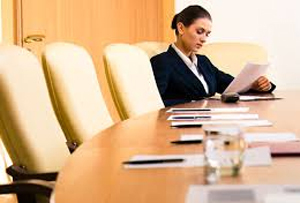 Despite falling short, the fact is quotas do appear to work in getting more women onto boards. But is that the most important thing? There is an argument that shepherding succesful businesswomen onto boards can actually make it harder for them to get executive positions. Indeed, it is telling that there are no women among the executive directors of the largest 13 Norwegian and Finnish firms, despite their strong showing in general board positions. There are also, of course, debates about how meaningful a change brought about by quotas is and how succcesfully culture can be changed by legislation. This research, of course, does not address these issues, but it does show businesses respond to external pressure. That's not all they respond to. Earlier research by Catalyst shows that those Fortune 500 firms with three or more women on their boards outperformed those without any between 2004 and 2008, with return on invested capital 3.9% higher and return on equity 4.8% higher. And if there's anything likely to make boards sit up and pay attention, it's the bottom line. MT's Inspiring Women in Business conference is taking to the road in 2015. Get your tickets for Inspiring Women Edinburgh on March 5th or Inspiring Women Birmingham on April 23rd.